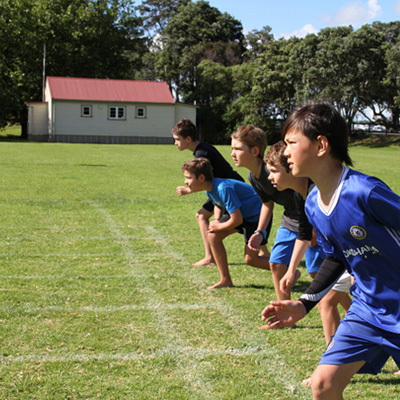 Sport is an opportunity for students to learn new skills in a fun and supportive environment. There are many reasons for children to be involved in sport; meeting new friends, getting exercise, improving physical skills and having fun! At Stanley Bay, sport provides students with valuable learning experiences that emphasize sportsmanship and fair play. Sport is an opportunity for children to develop an understanding that competing means not only striving to win but doing so in a way that models respect and integrity. As part of the class programme children will have regular opportunities to participate in fitness and sports activities. We also offer a variety of sports within and beyond the school, this could mean representing the school at Interschool Peninsula events or participating in an extra curricular sport. Our school sports teams rely on the dedication of our school community and parents to coach and manage our sports teams.